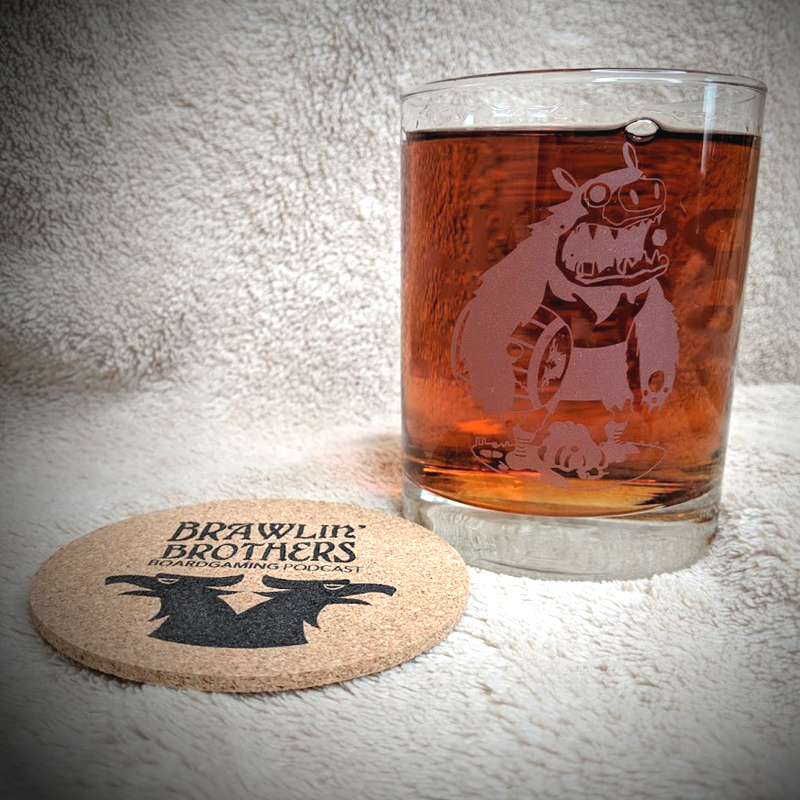 Enjoy your favorite adult beverage, some tasty apple juice, or even some healthy water out of a 2019 LIMITED EDITION Brawling Brothers Lowball Glass, emblazoned with the Brawling Brothers ManBearPig. 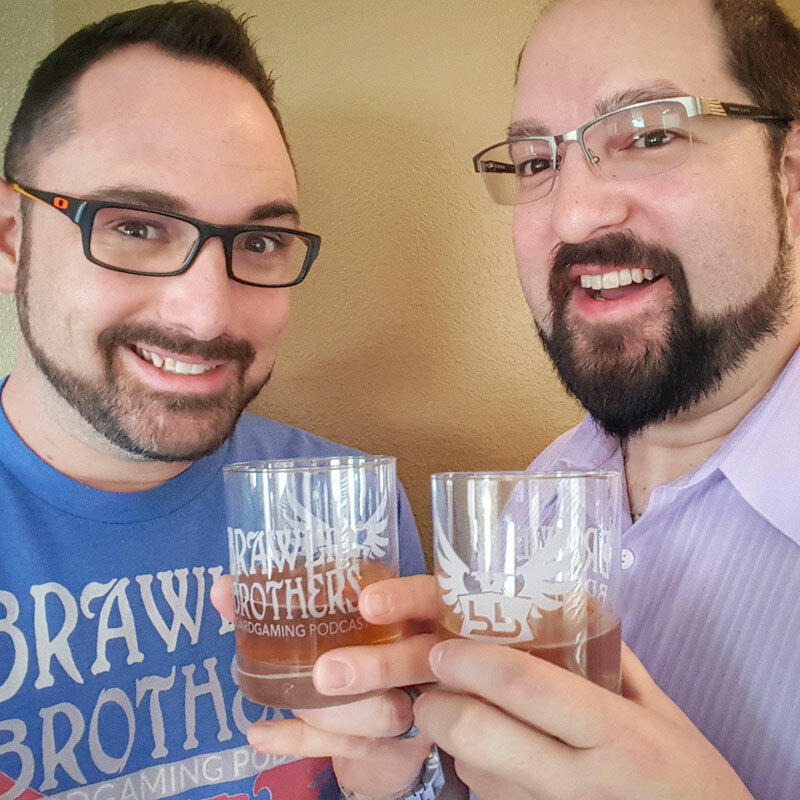 All proceeds will go to purchase whiskey for our glasses, games for our tables and churros for our tummies. 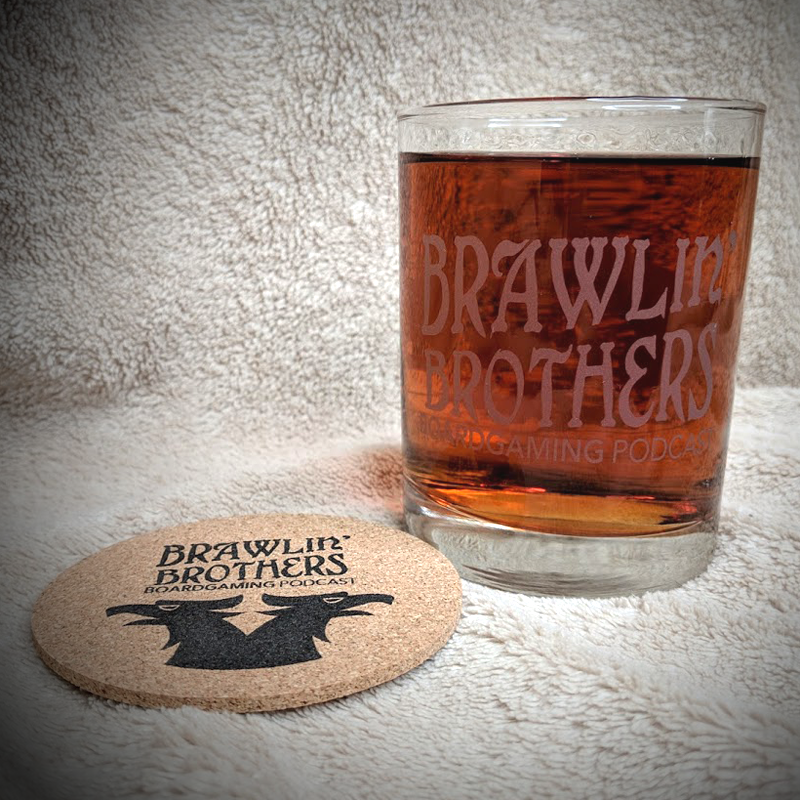 For a limited time includes a free Brawling Brothers drink coaster.